I’ve recently been trying not to begin texts with, “Sorry, late reply!” because I vehemently believe that we all need to give ourselves a break when it comes to online communication. The expectations that we place on ourselves to respond immediately are absolutely mad, and the truth is that our darling brains (and hearts) aren’t used to this rapid-fire communication. Two weeks ago I posted a letter from Australia to my boyfriend in London (gosh we do have some catching up to do, don’t we?) and it still hasn’t arrived! We don’t have to peer too far back in time to remember when letters in post, and therefore weeks between hearing from loved ones, would have been the norm. I’m typing this to you from my grandmother’s verandah, in a small rural town with a population of 1000. I’m on day 5 of my cycle, it’s a new moon, and after having a truly restful bleed (which I so needed after what felt like never-ending jet lag!) I finally feel like I’m back in my body; here I am, here I am, here I am! 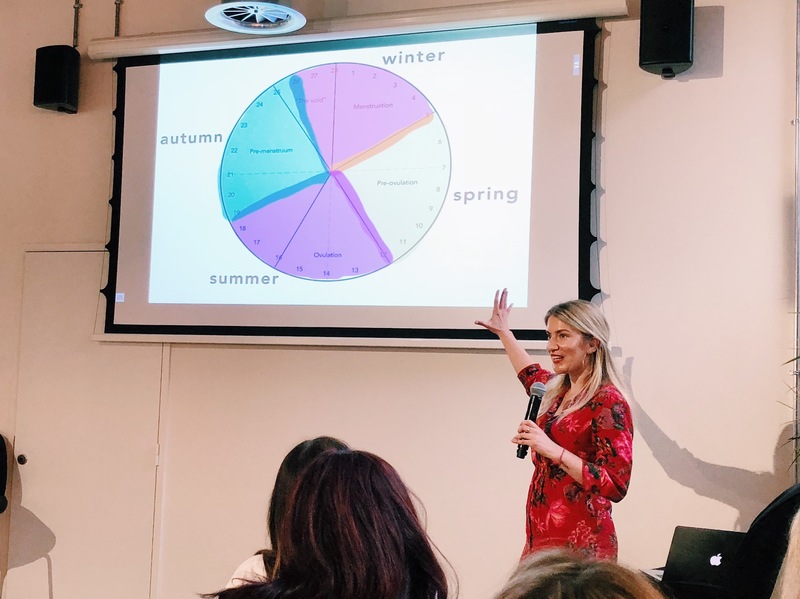 I spoke at Superlatively Rude Live in London to 100 women (and a few men) on syncing your life with your cycle. I loved every minute of being up there on stage. Watching everyone scribble notes and ask questions and tell me stories afterwards about their own cycle filled my heart right up. The world is ready for the consciousness of menstruality to RISE! 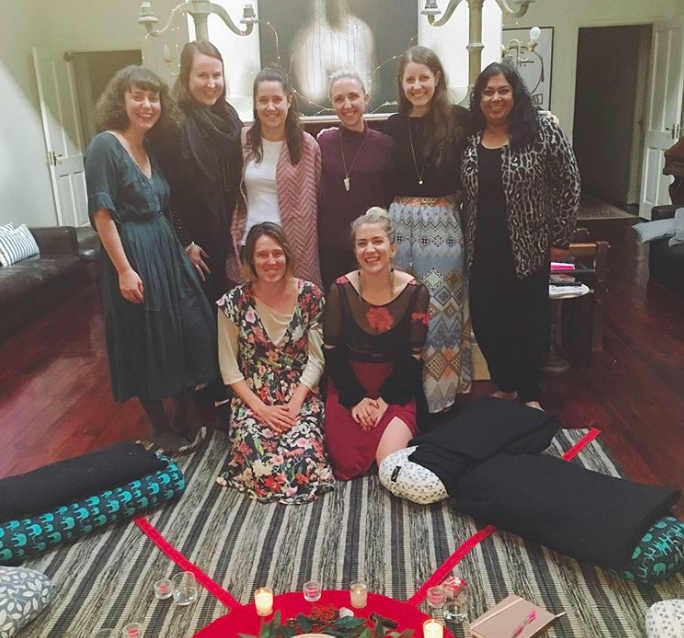 I held my first Cycle Love Retreat in Daylesford, Australia. It was sublime. 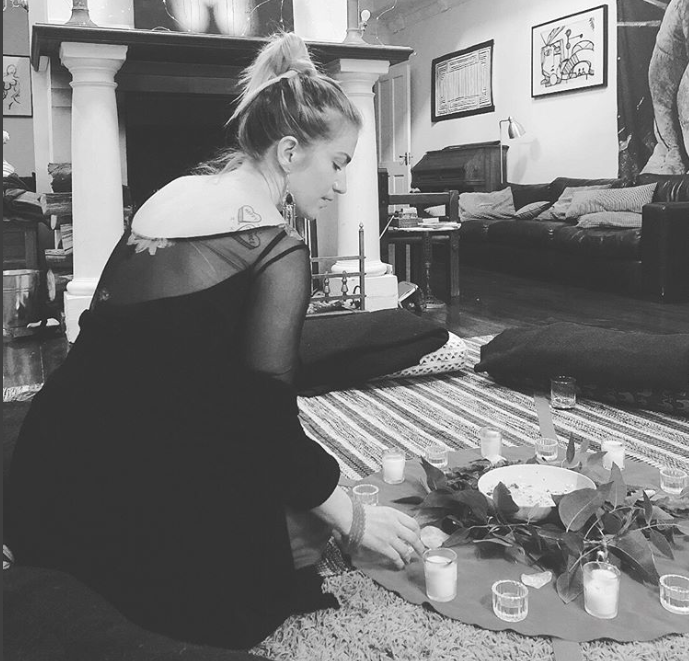 A heart-fest of menstrual magic and soothing self-love. I’m taking registrations of interest for upcoming retreats now. Like to hear about my next European retreat (late-2018)? Click here! And for my next Aussie retreat (2019), click here! I fell in love. Gah! I’ve been holding this so close to me for months. 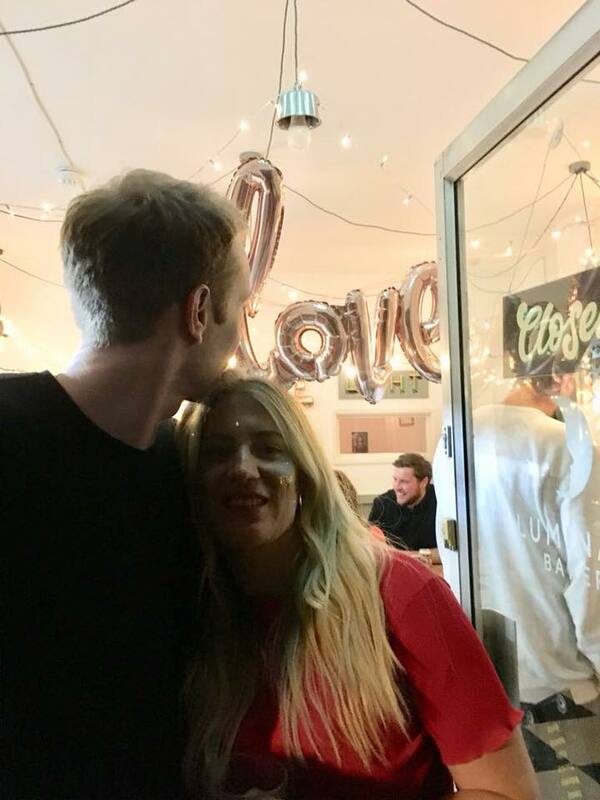 LOVE IS THE BEST THING EVER. He’s wonderful. I’m ecstatic. Bring on this next adventure! 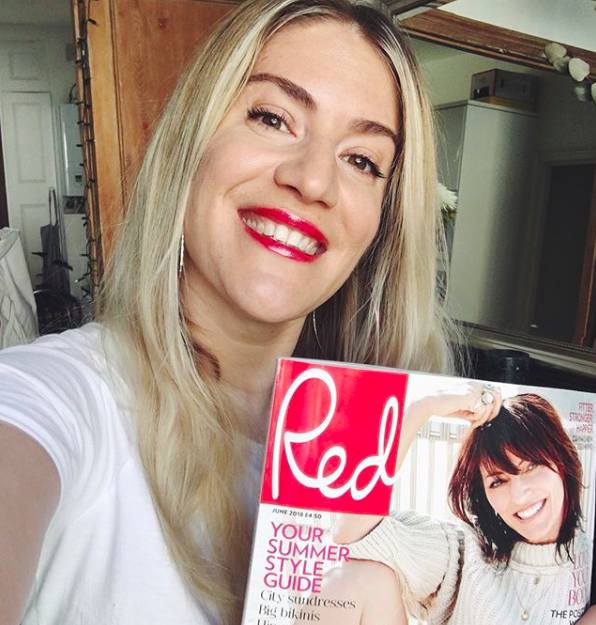 Red Magazine (UK) did a spread on working with a menstrual coach ie. yours truly! Features writer Cyan wrote on what it was like to work with me (and the many ‘aha moments’ she had in connecting her cycle to work, relationships, and even getting her hair cut), and I shared tips for the four phases of the cycle. Period power in a mainstream glossy mag?! YES. I completed a 3-day Ayurvedic Kitchari cleanse that I recommend if you’re feeling a bit foggy in the body and mind. Find it here. The best days of your cycle to start a cleanse? Between days 8 and 13. My Instagram stories daily cycle updates have kicked off again, and because I’m traveling to all corners of Australia this cycle, it’ll be a great way to see how menstrual cycle awareness moves with you. The cycle becomes a container of sorts, holding you in a familiar rhythm; it feels like something to lean on when Life insists on plot-twist after plot-twist. For all the podcast lovers out there, I spoke to Leticia Ringe about using the menstrual cycle to elevate creativity, and Alyssa Kuzins about coming off the pill. I finally finished The Crown (each episode takes me 90-minutes to watch because I MUST GOOGLE EVERYTHING TO FACT CHECK) so that’s a win in my book. Onto this series now! Still obsessed with this song. So gang, I’m teaching one more workshop whilst in Australia in Perth on the 8th July, and the next session of my cycle journaling course FLOW starts online that same week. Registration opens next week for FLOW. I appreciate you all so much, and as this menstruation conversation and consciousness of cyclical living only continues to expand in all directions, it’s my honour to share this path with you. « Here’s what’s happening in 2018! » Is this why you’re burning out?